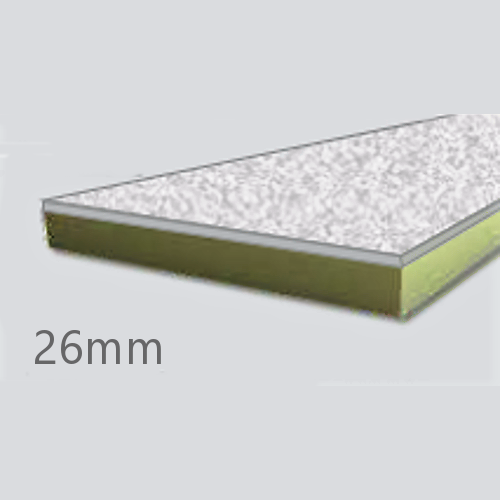 26mm Cellecta Hexatherm XCPL is a high performance extruded polystyrene thermal insulation board bonded to an high impact thermal laminate facing, suitable for car parks and soffits. 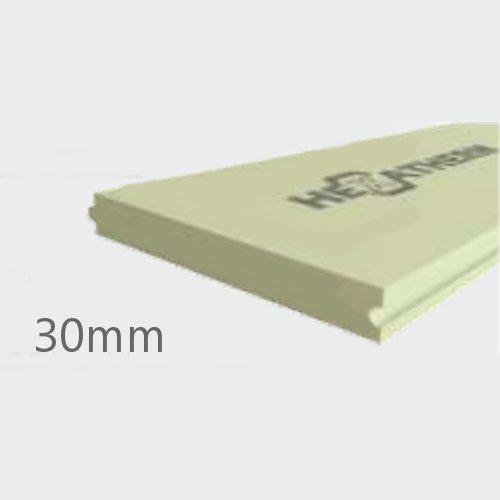 It combines the benefits of high performance extruded polystyrene with a facing board to produce a composite thermal ..
30mm Cellecta Hexatherm XPERi board has an outstanding compressive strength, low water absorption and life-long thermal performance, make them the ideal insulation for basements and below ground applications. 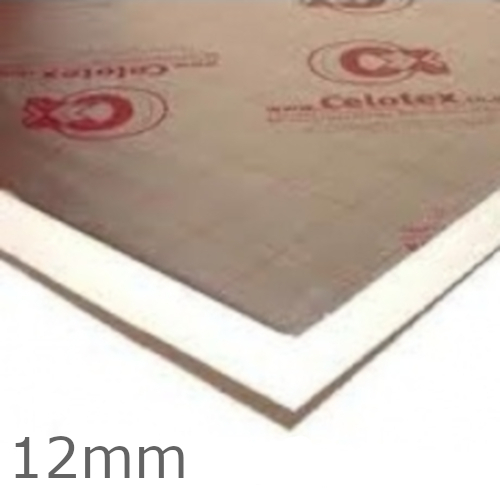 They feature an interlocking edge detail and are suitable for fixing externally against bas..
38mm Cellecta XCHiP is a high performance insulation board with a 18mm chipboard laminate facing. Cellecta XCHiP combines the benefits of HEXATHERM high performance thermal insulation with a P5 moisture resistant, tongue and groove chipboard to produce a high compressive strength, interlocking floor..
50mm Cellecta Hexatherm XDRAiN is a high performance extruded polystyrene inverted thermal roof boards, featuring integrated drainage channels on their underside, which speeds up the shedding of rainwater from the roof, eliminating the need for a separating drainage mat, making them ideal for green ..
56mm Cellecta Hexatherm XMD is a high performance extruded polystyrene thermal insulation board bonded to a 6mm thermal laminate facing, suitable for vertical upstands. 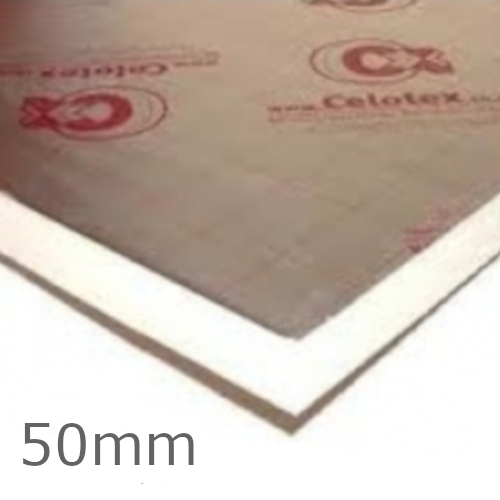 It combines the benefits of high performance extruded polystyrene with a facing board to produce a composite thermal board to suit ..
62mm Cellecta Hexatherm XPLY is a high performance extruded polystyrene thermal insulation roof board bonded to a 12mm plywood laminate facing, also suitable for internal walls and floors. 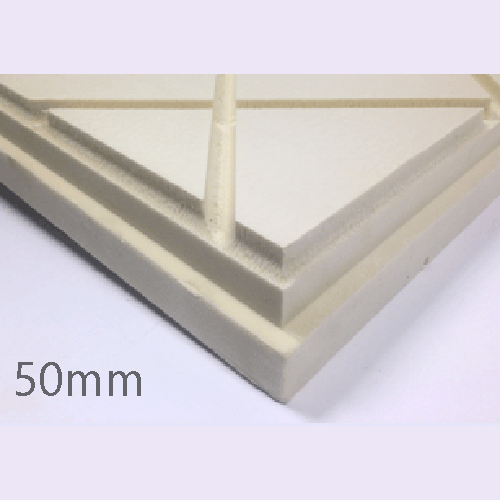 It combines the benefits of high performance extruded polystyrene with a facing board to produce a composite th..
Due to nationwide shortage of PIR insulation lead time may be longer for this product. 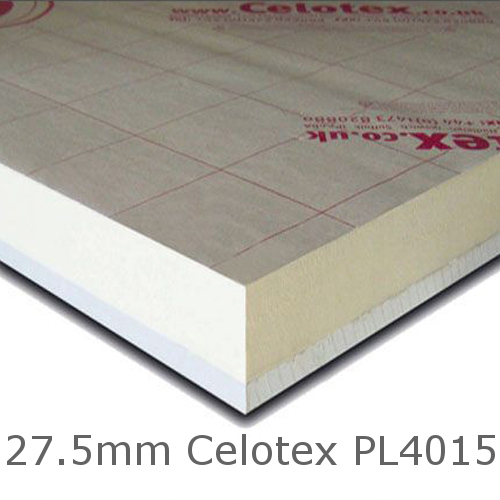 Celotex TB4012 is targeted at cut-to-fit applications between rafters or joists and enables users to achieve lower U-values with a single layer of insulation than has previously been possible. TB4012 is also appropriate for use in floors and walls. 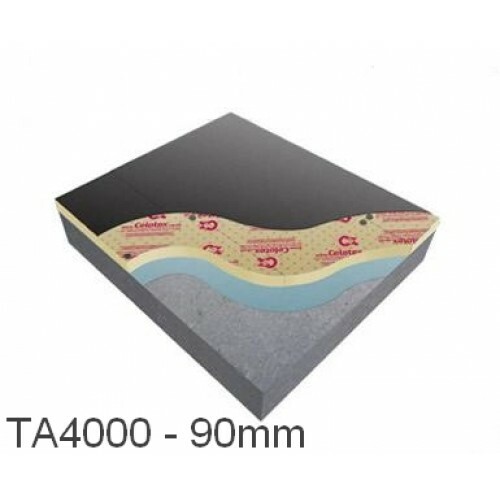 With low emissivity foil facings, TB4012 is manufac..
50mm Celotex GA4050 is a multi-purpose insulation board that provides solution to overcome from the localized thermal bridges problem. 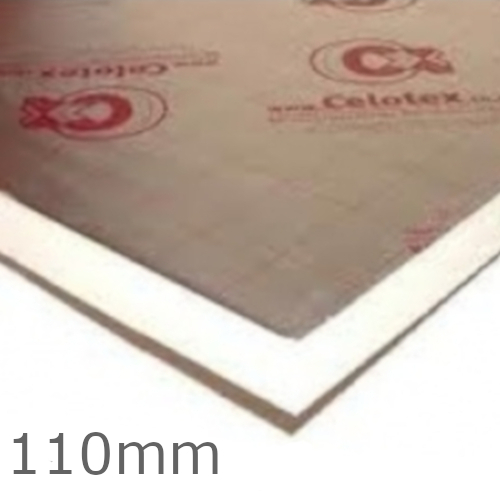 Featuring a low emissivity foil facings, this board has been manufactured from tough polyisocyanurate (PIR) by using a perfect mix of certain blowing agent..
Celotex XR4110 is targeted at cut-to-fit applications between rafters or joists and enables users to achieve lower U-values with a single layer of insulation than has previously been possible. XR4110 is also appropriate for use in floors and walls. 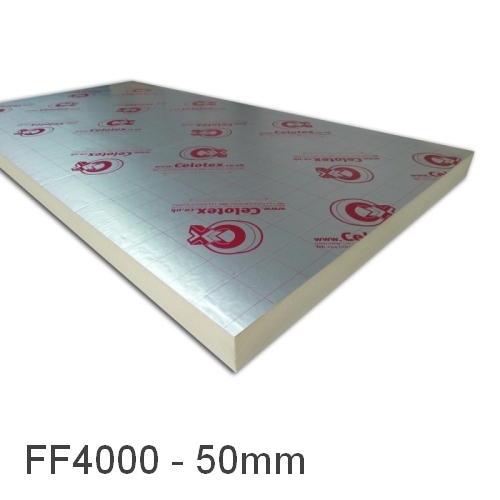 With low emissivity foil facings, XR4110 is manufac..
50mm Celotex FF4000 Underfloor Heating Board (pack of 24)Size: 1200mm x 2400mmArea per pack: 69.12m2Thermal conductivity: 0.022 W/MkR-Value: 2.25m2K/WCompressive strength: 150kPaWater vapour resistance: >150 MNs/gWeight: 1.81kg/m2 Celotex FF4000 is a product range aimed speciically at t..
Celotex PL4015 is a high performance thermal insulation board where the 15mm PIR insulation is bonded to 12.5mm tapered edge plasterboard. 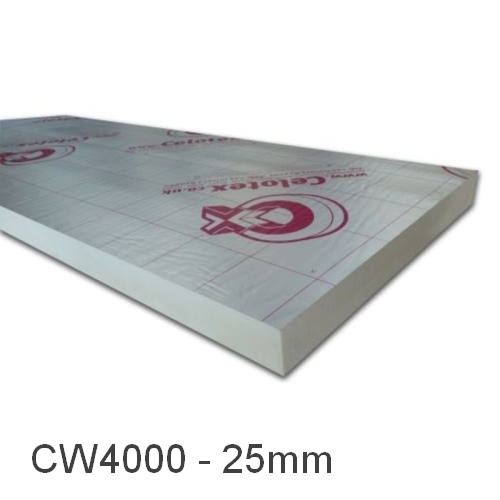 PL4015 is manufactured from rigid polyisocyanurate (PIR) using a blend of blowing agents that have zero ozone depletion potential (zero ODP) and low global ..
25mm Celotex CW4000 is an insulation board aimed specifically at partial fill cavity wall applications. It comprises a polyisocyanurate rigid foam insulation core, with a thermal conductivity of 0.022 W/mK and low emissivity aluminium foil facings on both sides. 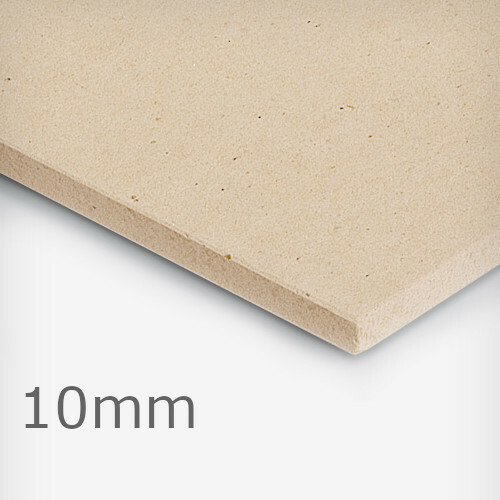 CW4000 is manufactured from rigi..
Celotex TD4000 comprises a polyisocyanurate rigid foam insulation core, with a thermal conductivity of 0.022 W/mK, and low emissivity aluminium foil facings on both sides bonded to a layer of 5.5mm WBP exterior grade plywood.APPLICATIONCelotex TD4000 is purpose designed for use in light traffic flat..
Celotex EL3000 provides a quick and easy method of achieving effective thermal insulation in flat roofing structures. 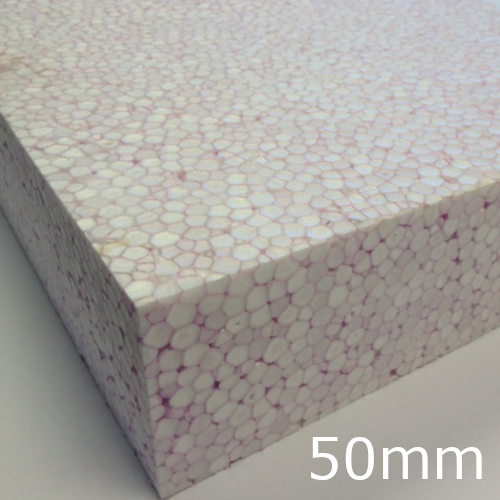 With coated glass tissue facings, EL3000 is manufactured from rigid Polyisocyanurate (PIR) using a blend of blowing agents that have zero ozone depletion potential (zero ODP) and a l..
10mm Grey Polystyrene (Graphite) is a high quality expanded polystyrene (EPS) board enhanced with integrated graphite within its bead structure and of grey colour. 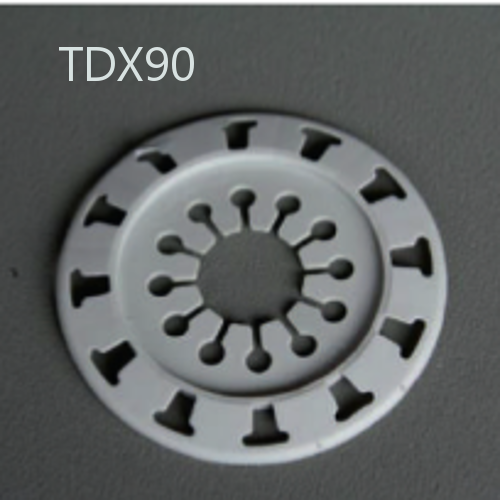 The high-purity graphite particles integrated within the insulation beads reflects radiant heat and significantly improves insulati..
TDX90 Support Disc is a high impact resistant polyethylene 90mm diameter disc for fixing mineral wool and lamella mineral wool external wall insulation. The greater hold-down area of the disk prevents the anchor pulling through the strands of mineral wool and lamella boards. 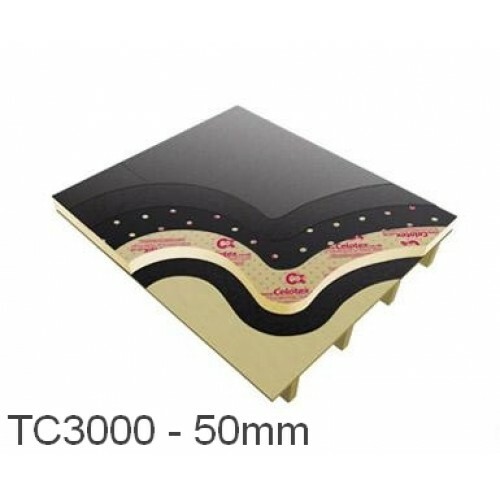 TDX90 is ..
Celotex TC3000 provides a quick and easy method of achieving effective thermal insulation in built-up flat roofing applications including hot applied bituminous, mastic asphalting and torch-on systems. 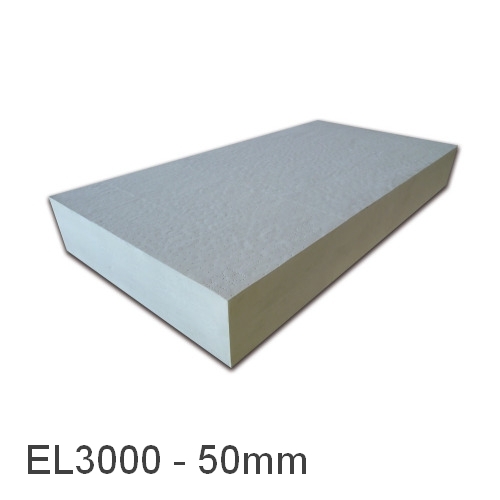 With bitumen polypropylene fleece facers on both sides, TC3000 is manufactured from rigid Polyisoc..
90mm Celotex TA4000 PIR Insulation Board (pack of 13)Size: 1200mm x 2400mmArea per pack: 37.44m2Thermal conductivity: 0.022 W/MkR-Value: 4.05m2K/WCompressive strength: 150kPaWater vapour resistance: >150 MNs/gWeight: 3.09kg/m2 Celotex TA4000 provides a quick and easy method of achieving effe..
50mm Claymaster is an EPS compressible-fill material which can be used to prevent potential problems in foundations due to moisture movement in soils which contain a large proportion of mineral particles below 0.002mm (clay heave). 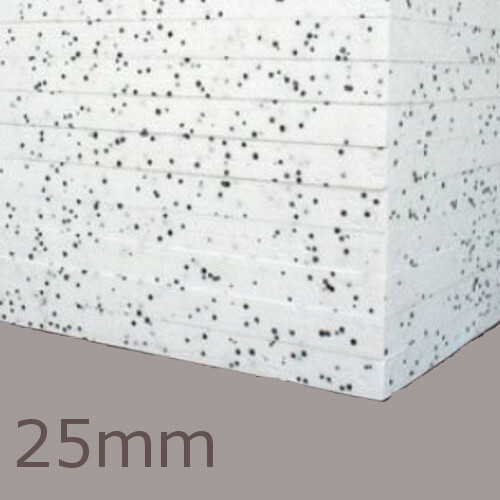 The material can be used as permanent shuttering for cast in-situ re..
25mm Jablite EPS is a lightweight cellular plastic material suitable for a wide range of building insulation applications. 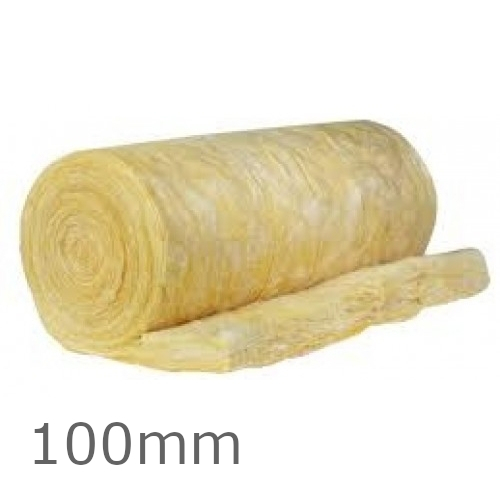 It is an excellent insulating medium which exhibits consistent thermal performance over the range of temperatures normally encountered in buildings. The material is versatile, l..
Due to nationwide shortage of Phenolic and PIR insulation lead time may be longer for this product. 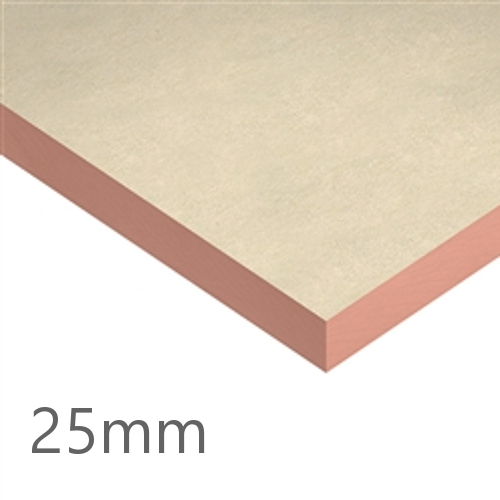 25mm Kingspan Kooltherm K3 Floorboard is a floor insulation comprising a premium performance rigid thermoset insulation core faced on both sides with a flexible facing. The product is manufactured with a blowing agent that has zero Ozone Depletion Potential (ODP) and low Global Warming Potential (GW..
20mm Kingspan Kooltherm K5 External Wall Board is the external wall insulation comprising a premium performance rigid thermoset phenolic insulation core faced on both sides with a glass tissue based facing auto-adhesively bonded to the insulation core during manufacture. 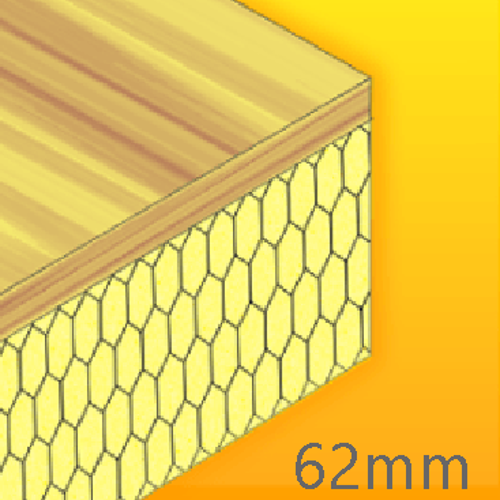 The product is manufactured ..
25mm Kingspan Kooltherm K7 Pitched Roof Board is the rafter/joist level insulation comprising a premium performance rigid thermoset phenolic insulation core faced on both sides with a low emissivity composite foil facing. 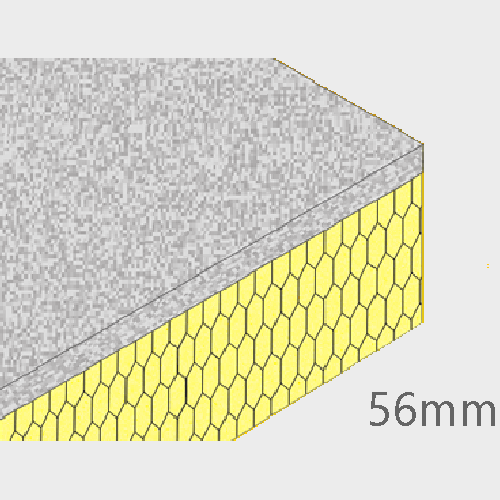 This reflective, low emissivity surface improves the thermal resista..
Kingspan Kooltherm K8 is the partial fill cavity wall insulation board comprising a premium performance rigid thermoset phenolic insulation core faced on both sides with a low emissivity composite foil facing. The product is manufactured with a blowing agent that has zero Ozone Depletion Potential (..
32.5mm Kingspan Kooltherm K17 is a wall drylining insulation comprising 12.5mm plasterboard facing bonded to high performance rigid phenolic insulation core. 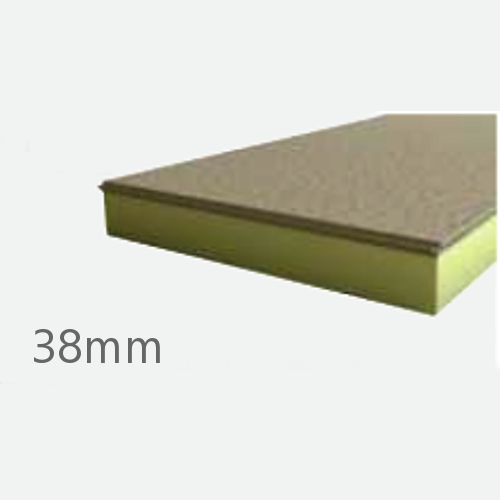 The phenolic core of Kingspan Kooltherm K17 is manufactured with a blowing agent that has zero Ozone ..
32.5mm Kingspan Kooltherm K18 is a wall drylining insulation comprising 12.5mm plasterboard facing bonded to high performance rigid phenolic insulation core. 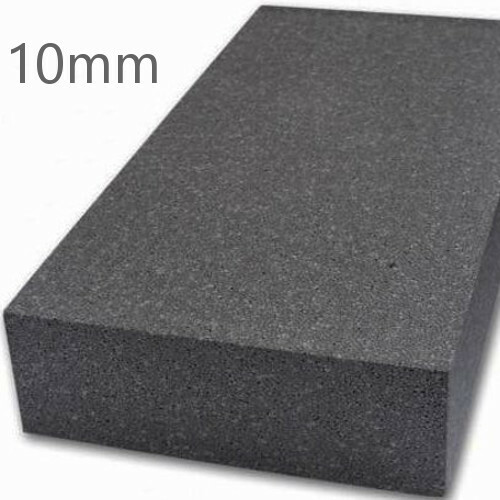 The phenolic core of Kingspan Kooltherm K18 is manufactured with a blowing agent that has zero Ozone Depletion Potential and low Gl..
100mm URSA 10 Loft Roll is a lightweight, non-combustible, unfaced glass mineral wool products for use as loft insulation in cold pitched roofs. 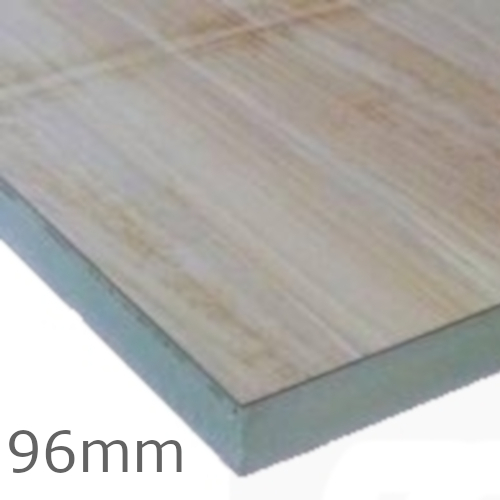 URSA 10 Loft roll is perforated to allow it to be split into 2 x 570mm wide rolls to match the format for use between joists at 600mm centres.CHARACTE..
Siniat BluClad is a medium density fibre reinforced calcium silicate board which has been formulated without inorganic fibre. Available in a standard 10mm thickness, it is off-white in colour and has a smooth surface on the front face and textured on the reverse. 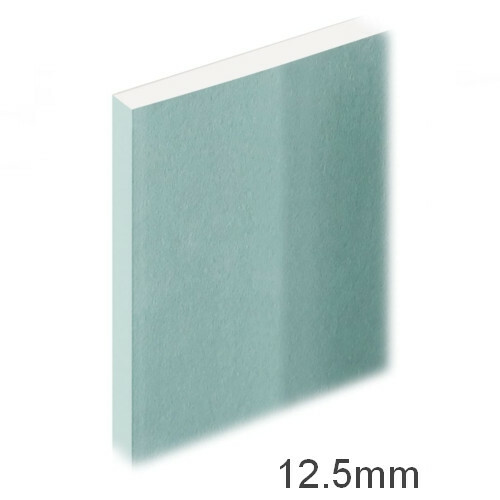 The smooth face is for painting and ..
12.5mm Knauf Fireshield is a plasterboard specifically developed to offer superior fire resistance performance when used in partition, ceiling and lining systems and also for encasement and shaftwall system. 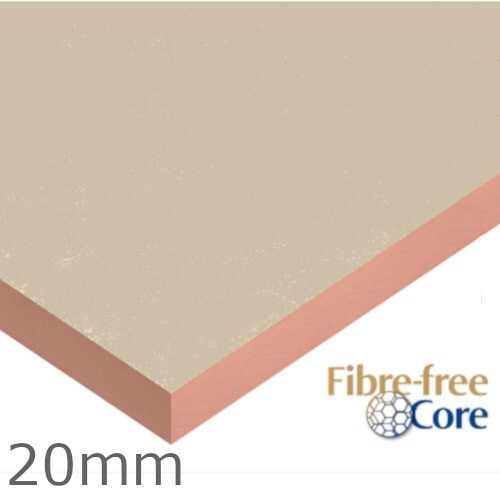 The board includes small quantities of glass fibre and vermiculite which increases core cohe..
12.5mm Knauf Moistureshield is a plasterboard manufactured specifically for use in areas of high humidity and exposure to moisture. The core formulation with silicone additive and treated paper liners ensure the boards resistance to the ingress of moisture.APPLICATIONKnauf Moistureshield is typicall..